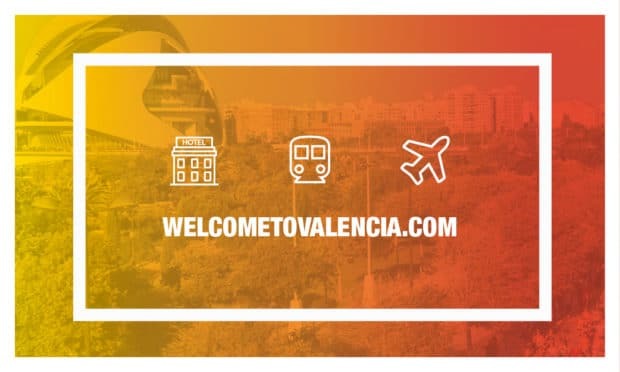 The ‘WelcomeToValencia’ web site lets you manage all the services you need for your journey and stay in ‘Valencia – The Running City’, so that you can focus on the trial, slip on your running shoes and enjoy one of Spain’s best races. Guaranteed cheapest prices for rooms in the programme. Money back in the event of cancellation arising from injury. Late check-out (up to 4 P.M.) on the day of the race. Marathon from 6 A.M. onwards. Transfers to and from the Start included on the day of the trial for hotels sited over 2 kilometres away (for runners and their companions). Special offers for groups (over 20 runners). 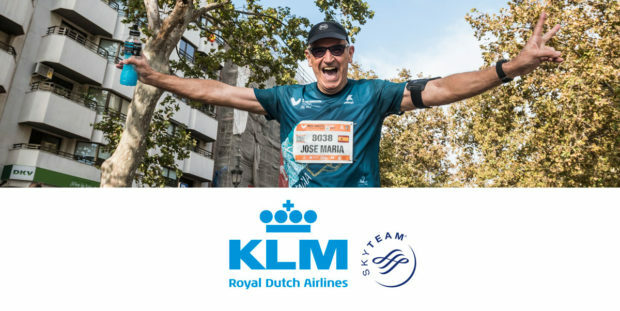 In addition, the Valencia Half-Marathon helps runners and companions flying to Valencia with discounts on flights operated by KLM Royal Dutch Airlines and Iberia. If the runner and/or his/her partner buy return tickets for Valencia flights with KLM Royal Dutch Airlines, and its sister company Air France on dates close to the trial, they will get a 15% discount. 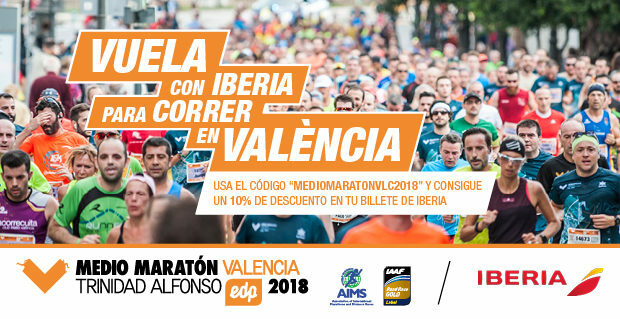 In addition, all runners and their companions flying to Valencia, Madrid, or Alicante between the 22nd of October and the 4th of December — seven days before and after the trial — will get a 10% discount if they book their flights with Iberia. 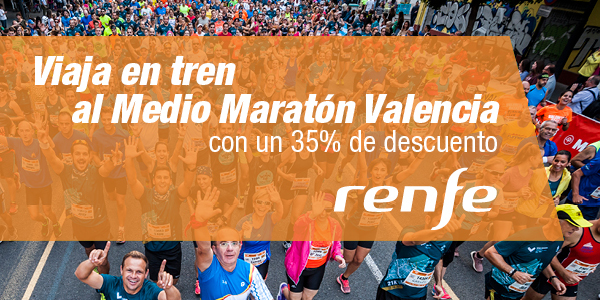 Those taking part in Spain’s best marathon can also get to Valencia — ‘The Running City’ — by train and, along with their companions, receive 35% off the fare for RENFE (Spanish State Railways) for journeys between the 24th and 30th of October.